Surprisingly strong work from a Bay Area group who never managed to crack the big time back in the day – then hung up their guitars at a time when most of their contemporaries were really starting to blossom! 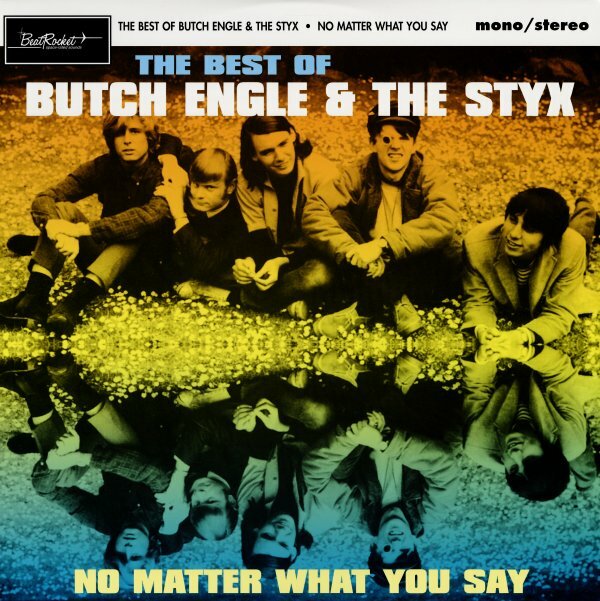 Maybe the issue was that Butch Engel & The Styx had experience going back to the start of the 60s – moving through familiar guitar-based modes for the first part of the decade, before really hitting their stride with the wonderful sounds on this record – done partly in collaboration with Beau Brummel Ron Elliott, who helped produced and lent them some songs – but also with this increasingly heartfelt, freewheeling quality that could have put them at the height of the SF scene, had they kept going. The set features rare singles issued on the Golden State, Loma, MEA, and Onyx labels – plus some excellent unreleased tracks too – titles that include "I Call Her Name", "Left Hand Girl", "Hey I'm Lost", "Going Home", "I Like Her", "Puppetmaster", "If You Believe", "Tell Me Please", and "She Is Love". © 1996-2019, Dusty Groove, Inc.